Welcome back to Video IRL, where several of our editors talk about what they've been watching in their spare time. This month we're talking about the latest Marvel/Netflix series, The Defenders, to find out if it's as bingeworthy as previous efforts. Billy Steele hopped into HBO's archives to check out The Night Of and explains why this is a crime series you won't want to miss, and finally, Richard Lawler talks about The Man from Nowhere without mentioning that he always cries at the end. 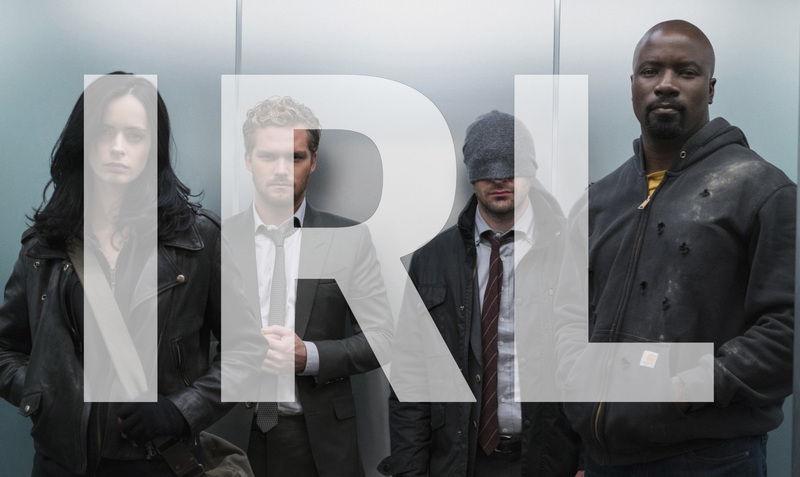 If you've seen all the other shows that have fed into Defenders, this Marvel team-up isn't going to change how you feel about each of the protagonists. Jessica Jones gets nearly all the good quips, aside from Madame Gao (an imperious old woman that scared the crap out of heroes and villains alike in those other Netflix shows), and even uses a car to ram a resurrected ninja/love interest. Danny Rand, the Iron Fist, is still petulant, myopic and just ugh — if anything, it's good to have human punchbag for everyone else to riff off. Other heroes "forget" his mystical title, despite the fact that Rand says it to anyone and everyone who'll listen. I hoped they'd at least offer some highlights to the Fist, but he's still the weakest part. Once I'd finished it all, and believe me, I binged like a lot of viewers, I felt a little underwhelmed. It's not that it was bad, it's just that perhaps my expectations were too high. Despite being like an Indie Avengers supergroup, I didn't feel like any of the heroes evolved much during this team-up run, and the threat didn't ramp up as much as I'd hoped it would, barring a four-on-four match-up in the final few episodes. The group thing works fine; it's just that some of the solo artists do better work on their own. If you're looking for something to fill the void left by True Detective and remedy the disappointment of the second season, HBO's latest crime thriller will do the trick. The Night Of is set in NYC and chronicles one really bad night out for Nazir Khan. What starts out as relatively innocent sneaking out and taking his father's cab to go to a party, ends up with him being accused of a murder he doesn't remember committing. Well, mostly because of the cocktail of drugs and alcohol he consumed. Riz Ahmed is spectacular in the lead role as Khan. He adapts from being a sheltered college student to becoming a murder suspect whose new home is Rikers Island. In fact, Ahmed just won a well-deserved Emmy for the character. Along the way, fellow inmate Freddy Knight, played by Michael K Williams of The Wire fame, takes Naz under his wing. In exchange for protection in prison, Naz has to do some illicit activities to repay the debt. And of course, that creates a whole other set of issues. John Turturro is also outstanding in the role of John Stone, a lawyer that hangs out around police stations looking for clients. Stone thinks this is another open-and-shut case where he can get paid to convince his client to take a plea deal. And because it's a high-profile murder case, he'll earn much more than his usual fee. During the course of the show, it's amazing to watch Stone's change of heart towards Naz while dealing with his own personal struggles -- all of which culminates in the attorney's epic closing argument. The best part? It's only eight episodes, which means it's easily bingeable in a weekend -- if you're as determined as I was. The shorter season also kept the pace moving along at a good clip, and the show never felt like it was dragging or filling time like some 13-episode series tend to do. What's more, The Night Of works so well as a one-season show. While there have been rumblings about a second installment, I'd be perfectly fine with HBO keeping this to one season. Unless of course, Turturro comes back as John Stone -- then I might be convinced to change my tune. If you, like me, have a leaning towards classic action flicks from a few decades ago, then Korean movies can fill the hole left by current Hollywood movies that rely too heavily on quick camera cuts and CGI. A few you should check out include I Saw the Devil, No Tears for the Dead and, my favorite, The Man from Nowhere. This 2010 release lived up to its title, suddenly appearing and instantly becoming one of my favorite movies. It fills its two-hour runtime with a visceral, close-up brand of violence all paced to match the way we learn about its main character's backstory. A mysterious pawnshop loner turns out to be a former special-forces operative, who deliberately chews through a crime syndicate that has kidnapped a little girl he befriended. It's not the most original plotline, but the mix of story and action is perfect, and star Won Bin -- who I hope will return to action movies someday as he is sorely missed -- pulls off every bit of subtle emoting necessary to carry the role. It closes with an action scene that I won't spoil but can honestly say is a favorite along with anything seen in either The Raid movie. Emotional stakes combined with excellent choreography and cinematography take it to another level and should earn this flick a spot on your shelf.